I used Right At Home’s services to assist my father, who had suffered from a stroke. Though he was faced with many physical challenges due to the stroke, my father’s wish was to remain at home, which would not have been possible without Right At Home’s services. Regina came out to assess Dad initially and did a follow up assessment when we decided we needed additional assistance. Regina was fantastic, very thorough in her questions for me and her assessment. They were able to match my Dad with caregivers who were well suited to his personality and the help we needed. In the office Nancy was so helpful anytime I’d call with questions or a schedule change, she was always friendly and easy going with any requests or changeable I needed to make. I also dealt a fair amount with Melissa, who was a tremendous help to me so many times. If there were times they had caregivers who had conflicts or were unable to make it for the shift the office quickly found caregivers to fill in those shifts and I was always notified promptly every step of the way. As my Dad had caregivers twice a day every day we had several caregivers over the course of the 8 months we used the service, but Kayla and Dalia were two of our most consistent caregivers and my Dad’s favorites. 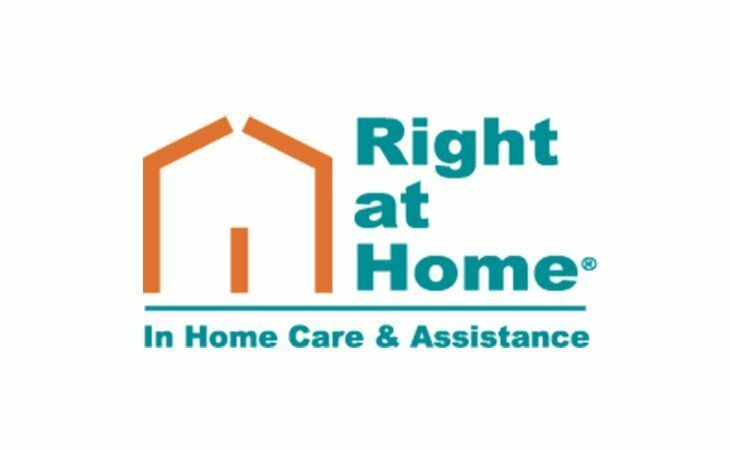 I would absolutely recommend Right At Home’s services to anyone who needs help at home. Lauren is a perfect fit for my needs. She is pleasant and careful and attentive at all times. I have been very pleased with the services of Right at Home. They were very responsive and professional in their communications with me. The office staff was always available and very helpful. The caregiver was on time and went out of his way to provide excellent care for my husband. The caregiver was flexible and really made a difference in my husband's recovery. The billing was timely, easy to pay electronically and accurate. It is a well-run organization with friendly and competent people. I highly recommend Right at Home. My 92 year old mother lives 2,000 miles away from my brother and 3,000 miles away from me. Although we visit her frequently we always were concerned that she was not receiving the care and monitoring she needed on a frequent basis. We were fortunate to find the services of Right-at-Home nine years ago. The services began with driving my Mom to doctor other appointments for about 2-3 hours a week. Now Mom receives 9 hours a week of service from two highly skilled senior care providers. One provider does the laundry and other light jobs around the apartment during her 6 hours a week and the other provider does mostly outside errands such as grocery shopping and picking up prescriptions. Over the years, there have been different providers but all were extremely attentive and respectful to my mother. I have observed them going out of there way to engage Mom, determine her needs, and figure out ways to meet her needs. We also have found the coordinator of the services to be responsive to our phone calls and very aware of Mom's needs. Communication with my mother and my family has been exceptional. Mom still lives in an independent living apartment complex for seniors largely due to the services Right-At-Home provides. These are all reasons why my family highly recommends Right-At-Home for high quality senior care services. We sleep at night knowing that Right-At-Home is providing the services and monitoring my brother and I cannot provide on regular basis. My grandma suffers from dementia and required 24 hour care at her home. Right at Home responded the same day and had someone available to stay with her. Due to the dementia, my grandma is not the nicest person and can be very difficult to be around. Every person that Right at Home sent out maintained professionalize and was able to deal with the difficulties. In fact, when my grandma ran out of the nursing home in front of traffic, the woman that was caring for her at that time jumped in front of her so that she would not get hit by cars. I would strongly recommend using this company. Very pleased with communication, flexibility and quality of care! They have been really wonderful finding caregivers for my difficult father. He has a very explosive personality at time and it has been a challenge to find just the right people to take care of his daily needs but the schedulers have been fantastic at making changes as necessary. I would definitely recommend Right at Home to anyone needing care for a loved one! Colleen is great! We love her. Other staff is courteous and professional. The phone is always answered and there have been no mix ups. Great service. I have been using Right at Home for the past 9 months for my husband. They have been very responsive and have the nicest people working for them. I would highly recommend this company to everyone. The caregivers they use are sweet and very knowledgeable. I can't say enough about the company and their caregivers. My family has recently used the services of Right at Home, and we couldn't be more pleased. Everyone involved is so very responsive, personable and professional. Most of all, Mom felt 100% comfortable and safe with her care companion when we were out of town. Most importantly, my husband and I were completely at ease leaving Mom at home during her illness. Right at Home is right for us! Dolores and Rovin take wonderful care of my mother, Dorothy. They are empathetic and kind, have a good sense of humor and are willing to learn. They are terrific caregivers! The wonderful woman who comes over to help with mom 6 days a week is a God-send to me and my brother. She brightens Mom's day with love and joy and genuine caring. It was difficult for me to "let go" at first, but I'm so glad I took the "leap of faith". I couldn't be more pleased. I hired this service for four days to take care of me post surgery. The young woman who showed up was absolutely delightful and did the best job imaginable. However, on the fourth day the office called me less than two hours before her scheduled arrival time and told me (not asked, but told) she would be arriving two hours later than contracted. This was unacceptable, as she needed to help me bathe, let the dogs out and feed me lunch which with the later time would end up being far too late. The office was exceedingly rude about it so I canceled the day. I called to ask for a refund for the last day and was given a long run-around, told there was no refund that I had not paid for services contracted but had made a security deposit - which was in fact payment in full for the four contracted days. After three phone calls to them I was informed that they would mail me a check in ten days. Being treated like this when I am ill, dizzy and in pain is unconscionable. And, I will have to do without being bathed or fed during the middle of the day. Right At Home has been a God send to me. They work with you in anything you need. They try very hard to give you the time and day that you need for their assistance. The people they send to your home are so warm and caring. You can see they really love their work. I recommend them highly. They give you peace of mind as they are so dedicated to your loved one and that means a lot to me, they take a lot of pressure off of you and we all need that. Right at Home has given the best customer service and patient care to a patient. I have always been pleased with the service I receive from them. Such a commitment to great customer service is to be commended. Thank you Right at Home staff. I am extremely pleased with Right at Home. I spoke with them about getting help for my mother who lives alone. I am a mother of 2 young children and cannot spend as much time helping her as I wish I could (unfortunately, I know I'm not alone in this!) My mother is very independent but needs more help then she is willing to admit. I had heard about several different home care agencies and decided to start calling around to see what they could do. I had interviewed several companies and was very impressed with Right at Home's level of knowledge and how much information I was given over the phone. I told them I was just looking and gathering information. The office staff was extremely thoughtful and considerate. They took their time to listen to me and answer my questions. They were willing to come out to my mother's home to talk about her options even though I wasn't sure she would agree to help at this point in time. I was very appreciative for the time they took to help me. After speaking with Right at Home I found out that a friend of mine had used them to help care for her mother. She told me that they were outstanding and she couldn't have gone through what she had with her mom without them. I am thankful that there are companies like Right at Home in the community for those of us that need this kind of support and help. I would highly recommend Right At Home Reno to any of my friends and family members who need quality assistance with daily care of their loved ones. We found that they truly care. I interviewed Right at home Reno for my dad because they specialize in alzheimer's and he really needed help and I couldnt do it with my work and kids. I have never had to deal with any kind of in home care so when I called them I had a lot of questions. Talking to them on the phone was a very negative experience. The lady I talked to had a very rude tone and didnt seem like she wanted to answer any of my questions. She acted like I was annoying her. I was already having a hard time with my dad being as ill as he was. I could not tell you how the actual care they give is because I decided not to hire them. With as rude as she was to me I didnt want my dad to be around anyone like that. I believe that a company that deals with such fragile situations should be caring and considerate and the person I talked to was neither of them. I give them one out of five stars because with just talking to them they didnt even come close to meeting my expectations and I got off the phone feeling more confused than I was before. If you are looking for in home care for a loved one I would not recommend Right at Home Reno based on my experience with them. Thank you for your feedback. We sincerely apologize for not meeting your expectations. Right at Home takes pride in our ability to assess and understand your unique situation and recommend a custom plan for your particular needs. Your experience with Right at Home is one we do not take lightly and we will use your response as an opportunity to improve upon our training and coaching. Again, Right at Home thanks you for taking the time to share with us your concerns. What should caregivers and potential clients know about Right at Home Reno?